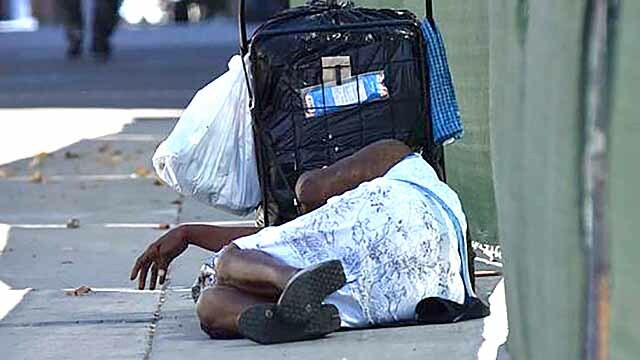 The San Diego City Council’s Select Committee on Homelessness voted Monday to instruct staff to create a pilot program to better connect homeless people with job opportunities. Staff will explore how the city can use its rapid re-housing programs to connect people with long-term employment. The re-housing programs connect families experiencing homelessness to permanent housing through a package of assistance that includes temporary financial assistance, counseling and educational services. The pilot program will likely involve at least 100 families currently being served by re-housing programs to determine the impact that employment- focused assistance can have on the homeless. Those families would be provided with long-term employment support to assist them in landing jobs and ensure their long-term success in those positions. Recommendations and details of the pilot will be worked out in the coming weeks by staff and sent to the committee for consideration in June. The program seeks to address relatively poor performance by San Diego re-housing programs compared to other cities. Over the last two years, 54 percent of San Diego re-housing clients exiting the program went into a permanent housing situation, compared to 73 percent of those in Los Angeles, according to a city staff report. Nearly 25 percent of clients aged 18-62 entering the San Diego programs in 2017 reported income from employment. The percentage of people earning employment income grew by just one percentage point after exiting the program that same year, according to the report. “What that’s telling us is we’re probably not doing a great job with actually getting people jobs,” consultant Kris Kuntz said. A more robust focus on employment could improve those numbers, homelessness advocates and city staff said. “Our homeless system and our rapid re-housing program are working very hard to get people jobs out there,” Kuntz said. But “we want to start doing the rapid re-housing model better here, not just in the city, but in the San Diego region. City staff will look at Denver as one example of a successful program, in which 39 percent of participants found full-time work.